Construction work has finally begun on a new Skatepark for Bradley Stoke. 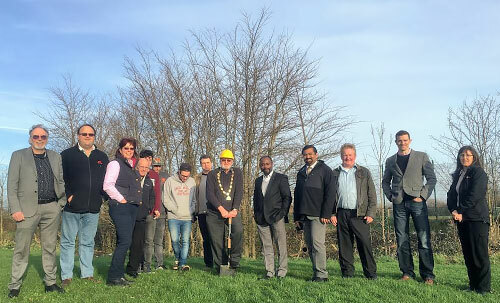 Councillors, Officers and Local Young People met on-site to mark the occasion. 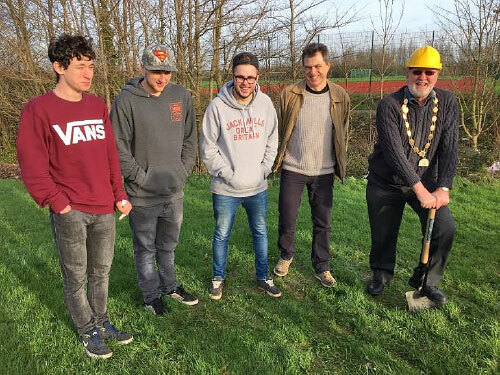 The Mayor Councillor Roger Avenin commented, 'I am pleased to have officially started the construction of the New Skatepark Development for Bradley Stoke. The former park has proven itself to be a significant asset to the Town over the years. However, the current park has now met the end of its useable life and needs to be replaced. with fellow Councillors, active young residents and Council Officers. Councillor Roger Avenin and the BSTC Youth Development & Participation Worker, Graham Baker.